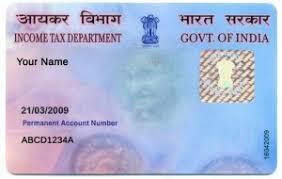 Non-individual entities who have do not have PAN but conduct a transaction of Rs 2.5 lakh or more in a single financial year will now mandatory have to get a PAN before May 31 of the following financial year. This is as per a notification issued by the Income Tax Department dated November 19, 2018. 1. Short, title and commencement.__(1) These rules may be called the Income–tax (Twelfth Amendment) Rules, 2018. (2) They shall come into force from the 5th day of December, 2018.